Operating within the existing IDEMA framework, ASTC is a forum for collaborative joint R&D efforts among storage industry participants, customers, suppliers, universities and laboratories with a goal to shorten the time from invention to productization. 2. Why form ASTC with competing companies? Significant challenges inherent to future storage technologies could prove too costly, risky, and unmanageable for any single company to pursue alone. Groundbreaking cooperation is now required to sustain progress and to support affordable R&D spending versus industry revenue. ASTC will create and direct cooperative research endeavors across the entire supply chain. The sponsored activities might include, but are not limited to, university-level research funding, common specifications for new components or manufacturing tools, collaborative working groups on future technologies, and joint development projects. 3. Why should a company join ASTC? participation in setting and understanding the future directions on key new technologies, such as Heat Assisted Magnetic Recording (HAMR) or Bit Patterned Media (BPM). It should also allow participating companies to better leverage their investments in developing these new technologies and deliver faster results, lower overall costs, and a clearer return on investment. 4. What is the required investment to join ASTC? How will technology initiatives get funded? There is an incremental member fee in a tiered structure based on storage industry revenue. To the greatest extent possible, ASTC will also seek financial support from governments and associated laboratories. Technology projects and initiatives will be identified and funded through a volunteer committee system comprised of ASTC member companies and their personnel. 5. There are other group efforts such as the International Storage Industry Consortium (INSIC) and the Storage Research Consortium (SRC)? Why form this group? Direct oversight by industry technical executives providing leadership and guidance on how projects are determined, executed and measured, and how funds are administered, including to universities, foundations, or organizations. Simple, efficient organizational structure: Led by an Executive Council, ASTC will employ a simple, high-touch organizational structure that will ensure the appropriate people are in place to manage projects. optimal supply chain tuning. ASTC will sustain a storage industry roadmap, the details of which will be the property of ASTC member companies. device customers, and material vendors. This breadth and depth will give immediate and profound scale and commitment to ASTC. 6. Why will both HAMR and BPM be required? Won’t one technology prevail? Both technologies –HAMR and BPM – hold promise for driving areal density far beyond about a terabit per square inch, and ultimately, we expect the industry to use both techniques in tandem to drive areal density beyond 10 Tbits/square inch. HAMR and BPM are complementary technologies. A key technical challenge in scaling to higher areal density is the thermal stability of the media. There are two approaches to pushing the thermal limits of the media to higher areal density. One direction is to enable scaling to smaller data bits without having to reduce the physical grains size in the magnetic media. The other is to increase the magnetic stiffness of the media materials. BPM technology addresses the first pathway through intentional patterning of the bits into ‘islands’ rather than isolated grains. HAMR addresses how to write higher coercivity media to enable the second pathway. To achieve the highest possible areal densities, both technologies will likely be necessary. 7. Which technology will come first – BPM or HAMR? ASTC and its members are currently evaluating both technologies to assess their respective technical viability and economics. It is still too early in the development stage to make a definitive decision. Clearly the decision will be predicated on both technology viability and the ability for mass production. One key aspect of ASTC will be to prepare suppliers, tool vendors, and customers for mass production capability in parallel with the development of the technology to reduce the time from innovation to products. 8. Considering the superparamagnetic limit, when will BPM and/or HAMR be needed? The 'superparamagnetic effect' presents us with a serious challenge. It is compromising our efforts to continue increasing the areal density and storage capacity of our disk drives. Based on a 30% areal density growth rate per year, we anticipate that a new technology will be needed for leading edge areal density products in the 2014 to 2015 timeframe. 9. With ASTC, will there still be healthy competition among vendors? Yes, there will be areas that vendors can cooperate, and areas where they can compete. Setting common standards in the supply chain is mutually beneficial to all, resulting in faster transition results, lower overall costs, and a clearer return on investment. 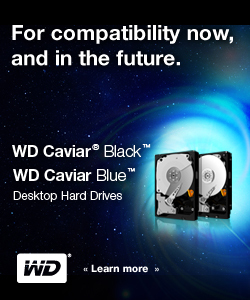 On the other hand, for example, hard drive suppliers can still compete on time to market, performance and reliability. 10. So what’s next for ASTC? The first initiative is to build a membership base that spans the entire value chain to include HDD suppliers, equipment companies, component suppliers, storage device customers, and material vendors. The second initiative, to run in parallel with the first, is to identify specific research projects and focus areas for the first year of operation. The first priority for the alliance will be to develop data and industry direction on which of the two technologies (HAMR or BPM ) may be implemented first in mass production. 11. When does ASTC expect the first collaborative research product to begin? The group will spawn research proposals and projects working in tandem with universities. ASTC anticipates finalizing its research agenda and holding its first kick-off meeting among the member companies and university researchers in January 2011.